Like a number of Drexel students, Lia Arakelian went from co-op to career with the same company. She took the next step, though: going from co-op, to full-time to a promotion at Bimbo Bakeries USA, all in quick succession. Bimbo had acquired the Sara Lee brand just before Lia started her co-op in fall 2013. Additionally, an assistant brand manager had just left the company, and as a result, Lia says she was called on to do more in her role than she’d expected during that transition period. 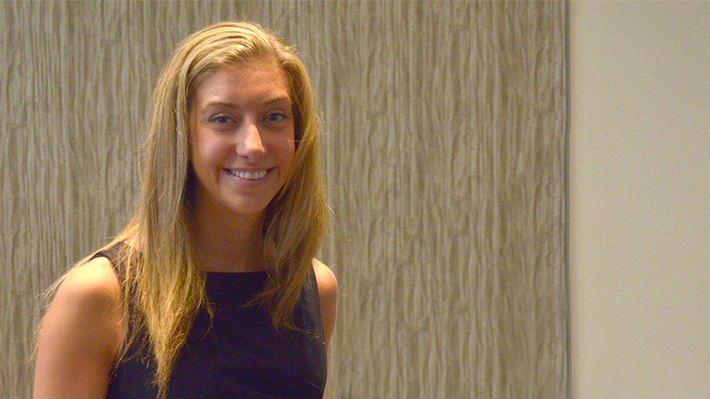 After completing her co-op in spring 2014, Lia was one of nine undergraduate students awarded 2015 Co-op of the Year from the Steinbright Career Development Center. After starting full-time in an assistant brand manager role, she worked her way to a promotion after just over a year, and now manages relationships with external vendors, makes changes to labeling and packaging and does weekly financial reporting on all of her brands. That last part of her responsibilities draws heavily on finance skills she honed during her MBA. “I really learned the culture of the company, and the structures and processes you’re supposed to follow,” she says. Though Bimbo has changed since her co-op – it has grown through acquiring numerous other brands and renovated its headquarters – she feels that gaining this knowledge was instrumental in helping her land her current position.